College students must stay focused when conducting a job search for entry-level jobs. This means eliminating distractions. 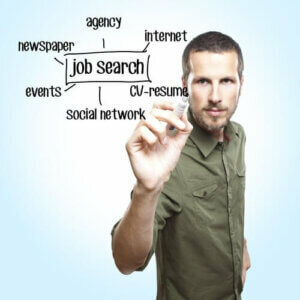 Consider these three tips to help you conduct a more focused job search. 1. One creative and effective idea for a more focused job search is creating a weekly workflow plan every Friday afternoon for the following week. Which organizations will you reach out to for the first time, how, and when? Which organizations will you follow-up with for the second time, how, and when? Which organizations will you follow-up with for the third time, how, and when? Plan your job search schedule in the same way your college courses are planned out with syllabi. 2. Limiting the number of times you check email and text messages will help you stay focused on your job search. If you’re always glancing at your inbox, it will take away from time-consuming tasks such as writing resumes and cover letters. Unless messages are urgent, answer them later. 3. Setting timeframes and goals is another way to stay focused. Creating a plan provides college students with structure in finding jobs. By breaking down the time to search for jobs into individual parts, you won’t overwhelm yourself, and you will feel a sense of accomplishment by completing tasks. A successful job search requires a commitment. By avoiding distractions, you won’t get sidetracked from that commitment. College students and recent grads who stay focused will ultimately land great entry-level jobs. Need more tips related to staying focused and motivated during your job search? Follow our blog and follow us on Facebook, LinkedIn, Twitter, and YouTube for career tips and job search motivation.